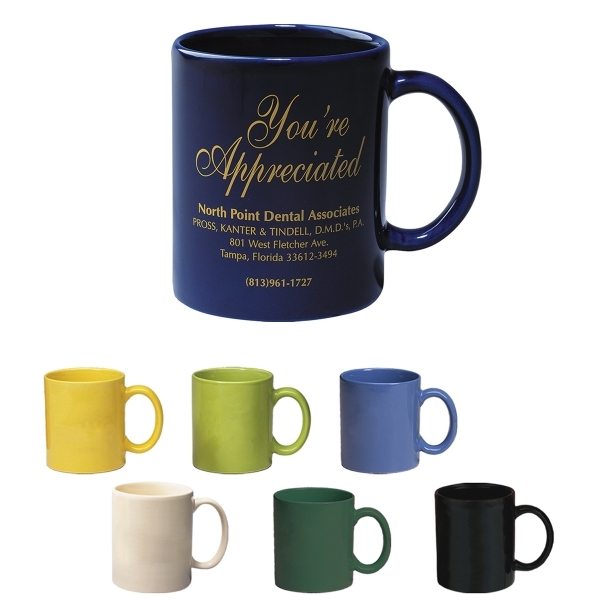 The 11oz Ceramic Budget Mug is available in your choice of seven colors. This Mug is a perfect Promotional item for any event centered around a meal. Or pass them out to valued Customers and Employees to show your appreciation. All of our mugs are packed in protective shipping cartons to insure they arrive safely at their destination at no additional cost to you!